This cutie is new to the webkinz club. 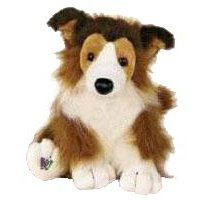 This brand new webkinz collie is so adorable. Full of fur in a sable and white hair color. This collie is very gentle, caring, sweet and very friendly. What a great protector this collie is. This webkinz loves the outdoors and plenty of exercise. Likes lots of hugs and kisses too. This plush pet loves to take baths because this pet loves water. Special Food: Collie Lolly. Adopt a Collie Today. All webkinz need loving homes.